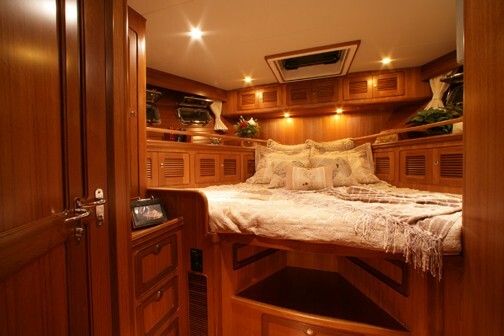 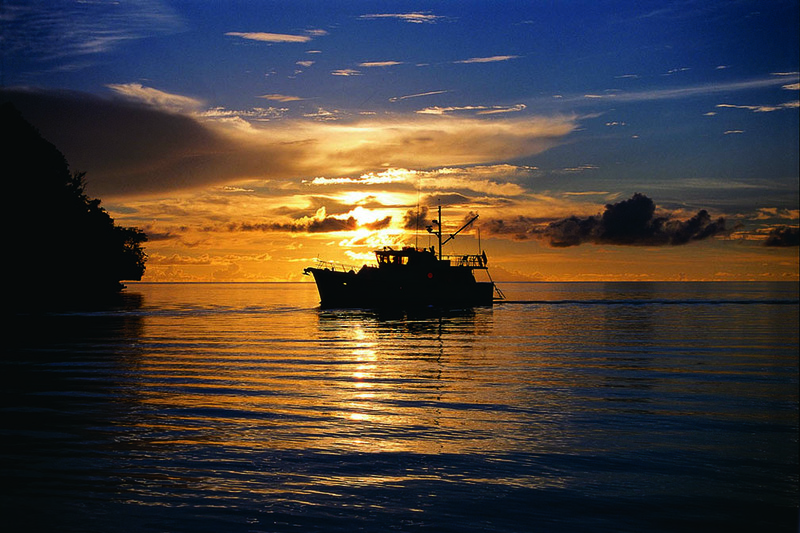 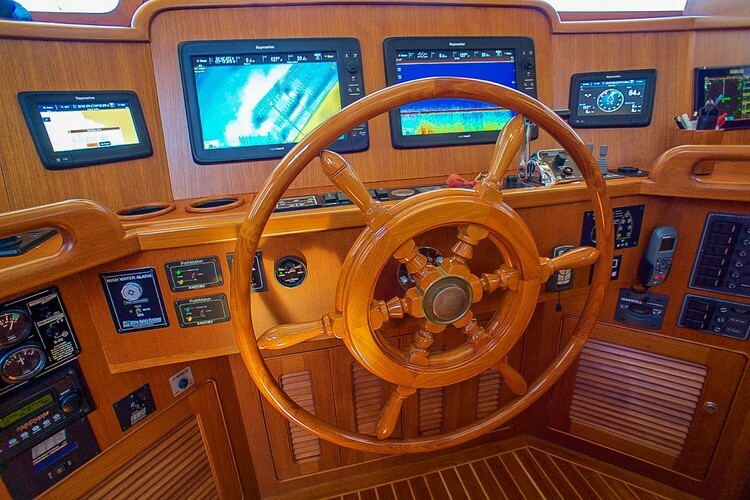 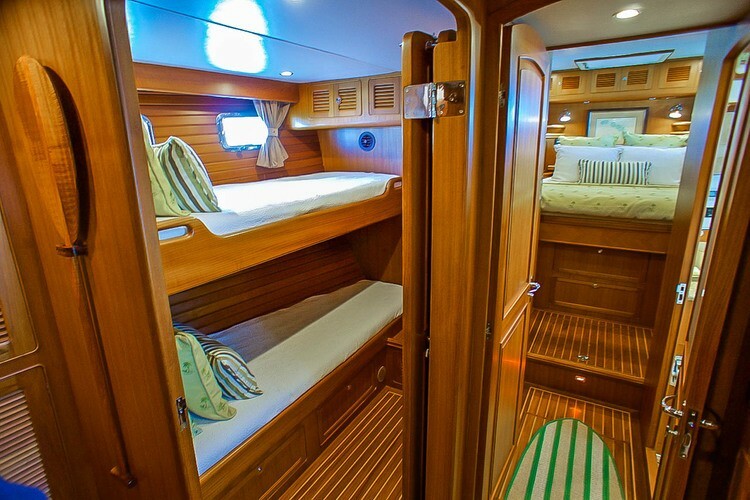 The Selene 43 Ocean Trawler is a serious “go anywhere” vessel. 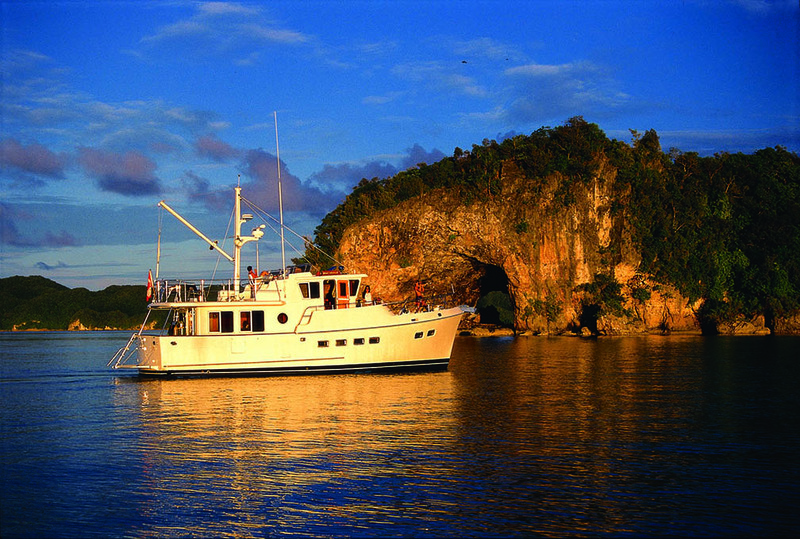 Her raised pilothouse, Portuguese bridge, and walk around side-decks make her ideal for blue-water cruising She is extensively equipped, comfortable at sea, and able to cruise the oceans of the world! 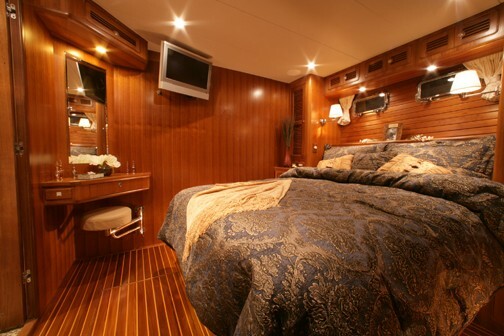 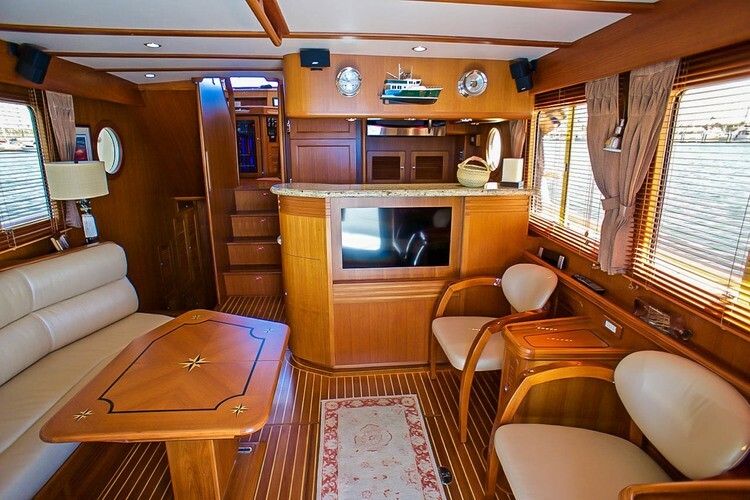 Entering the salon from the covered aft deck, you will find a settee with table to port, stairs to the guest staterooms and the engine room port forward, the galley forward, stairs to the raised pilothouse to starboard and a lounge chair and cabinetry starboard aft. 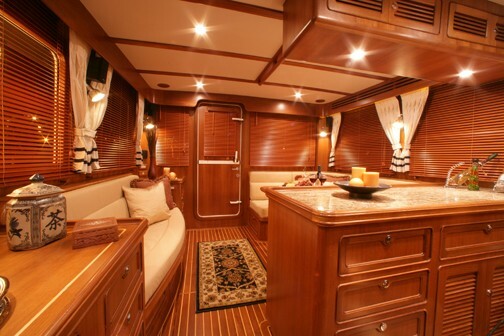 Step up into the pilothouse and you will find wing doors to each side deck and internal stairs to the flybridge. 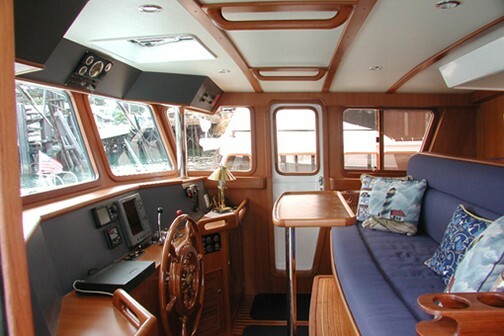 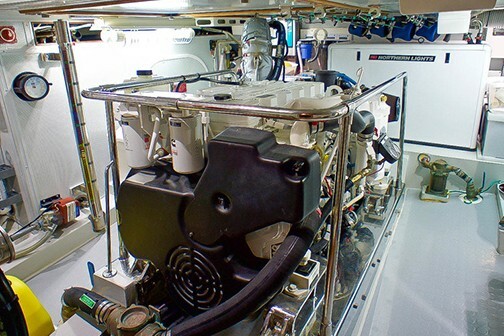 Step down into the guest foyer and you will find the engine room aft, guest stateroom to port, guest head to starboard and the master stateroom with ensuite head forward.